A Junker base. Junkers are an itinerant population unaffiliated with any colony. 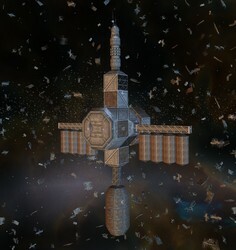 They salvage and then resell abandoned ships, equipment, and other scrap.